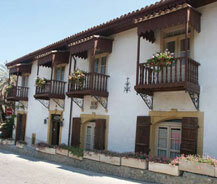 Lefke City in North Cyprus is located approximately 74km from Nicosia and is nestled just below the Troodos Mountains. 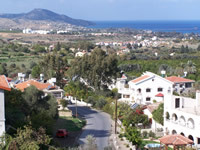 It is a beautiful place to visit and if you have a hire car during your holiday in North Cyprus it is definitely worth the drive. Lefke City is where you will find the tastiest and juiciest citrus fruits in the whole of Cyprus and the people living here will be only to happy to tell you about them. You can spend the day touring around this beautiful city and with the help of your hire car you can take your time and take in all the sights. The Ottoman Empire ruled this city for over three hundred years and you can still see signs of it today in Lefke City. The Turkish character is amazing and for those of you interested in education you will be pleased to know that Lefke is also the home of the European University of Lefke. This university opened in 1990 and was founded by the Cyprus Science Foundation. The university in Lefke is a non-profit public university and provides 26 undergraduate degree programmes and 10 graduate degree programs. Other places of interest whilst visiting Lefke City include Soli which was a great ancient city. This city was founded in 600BC and was destroyed during an Arab invasion in 648AD. This city was extremely important during the Roman era and you can see the remains of a Roman Amphitheatre here. 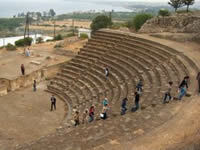 There is also the remains of a Christian Basilica and some amazing mosaics to see. No matter what you spend your day doing you can be sure that a trip to Lefke city won’t be a disappointment and with your hire car you can spend as much or as little time here as you wish.